Myrtle Beach Real Estate News: Volunteers flocking to build Carolina Forest Playground! Volunteers flocking to build Carolina Forest Playground! The dream of a new $400k playground in Carolina Forest is becoming a reality this week as hundreds of volunteers show up to build it. 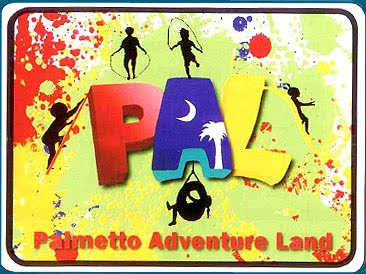 Horry County actually solicited suggestions from two nearby schools, Ocean Bay Elementary and Carolina Forest Elementary as to the design and features of the playground, which will be called Palmetto Adventure Land. It's expected to accommodate as many as 300 kids and will include sliding boards, tunnels, obstacles, swings, balance beams, and a rubberized "padded" surface for safety reasons. Located on Carolina Forest Boulevard in the Plantation Lakes subdivision, the site will also eventually house a branch of the Horry County Library, adding even more to the value of this family-oriented community. Carolina Forest homes will find the park and facilities adding even more to its many great assets. The Sun News says the park will "look like two boats, with many play features accompanied by nautically themed side structures and shade areas for parents". The Horry County Parks and Rec Dept is hoping to build other area parks and playgrounds by bringing together community volunteers...saving money, and making each neighborhood a better place to live, as well as attracting families to buy homes there. In many cases, having a beautiful park nearby can actually improve the value of Myrtle Beach real estate. South Carolina Senator Luke Rankin also spear-headed the project by getting grants from the state legislature for $300,000. Several area HOA's, charitable groups, and even students from nearby Coastal Carolina University will be donating time and effort to the project. What a great way to boost the value of Myrtle Beach in a direction outside of tourism!